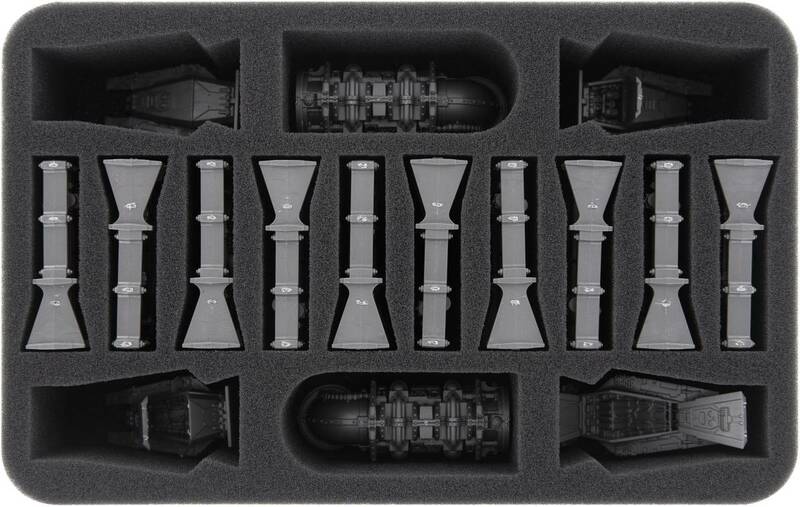 This Half-Size foam tray ensures with 16 tailor-made compartments that the plastic scenery pieces of the Kill Team: Rogue Trader box are clearly and safely stowed away. In the center of the foam mat, the bulkhead doors are lined up in 10 individual compartments. 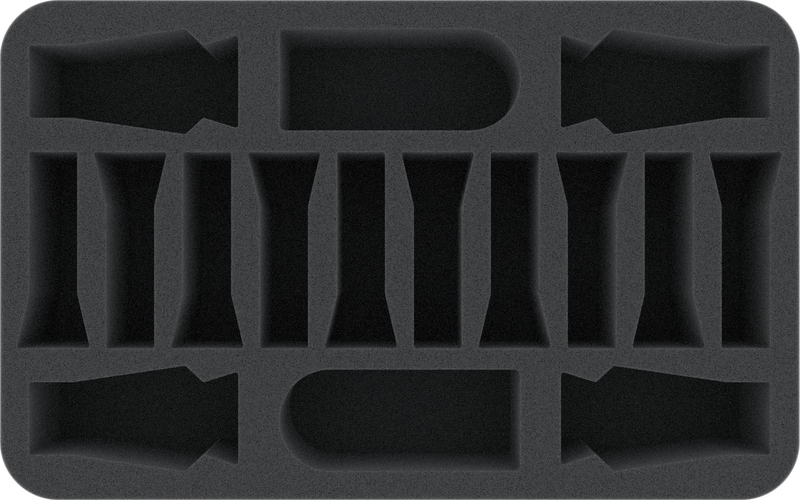 The 2 sections of pipework, just like the 4 escape pods, also have their own compartments. Therefore, the scenery pieces are optimally protected against abrasion even after painting. 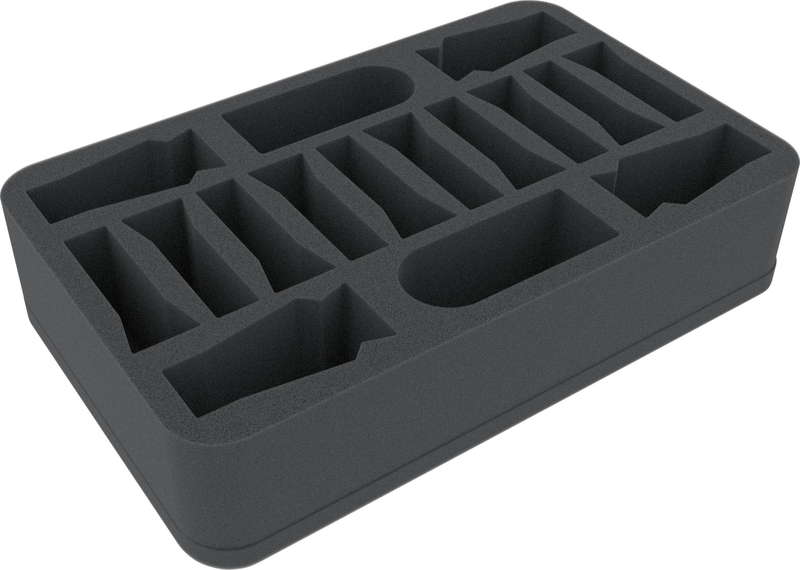 The foam tray has the dimensions: 275 mm x 172 mm x 60 mm total height (50 mm usable height + 10 mm foam base).